Amy Zeman represents clients in a wide variety of medical mass injury matters, including individuals harmed by transvaginal mesh, the birth-control medications Yaz and Yasmin, the diabetes drug Actos, and the anti-psychotic medication Risperdal, among others. Amy also represents consumers in class action litigation, with experience working closely with class representatives and consumer contacts and participating in all stages of litigation. 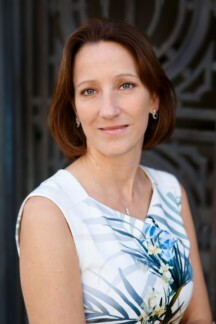 Amy is a member of our California whistleblower attorney practice group. She has been named a Rising Star by Northern California Super Lawyers every year since 2013. Prior to attending law school, Amy pursued a career in the financial sector. She served the members of the Marin County Federal Credit Union for almost seven years, acting as the Accounting and Compliance Manager. Amy was a spring 2010 extern for the Honorable Marilyn Hall Patel of the United States District Court, Northern District of California. Represents women throughout the country who suffered serious side effects after taking Yaz, Yasmin and Ocella birth control. Represents women across the country who suffered serious complications after receiving transvaginal mesh implants. Represents individuals who were diagnosed with bladder cancer after taking the oral anti-diabetic drug Actos. Key member of the litigation team in this multidistrict case alleging that Chase Bank wronged consumers by offering long-term fixed-rate loans, only to later more-than-double the required loan payments. The litigation resulted in a $100 million settlement with Chase eight weeks prior to trial. Sugarman v. Ducati North America, Inc. The lawsuit was pretty complicated, but Amy would take her time and go over it and then ask me if I had any questions. With her help, it made it much easier to understand the whole process.